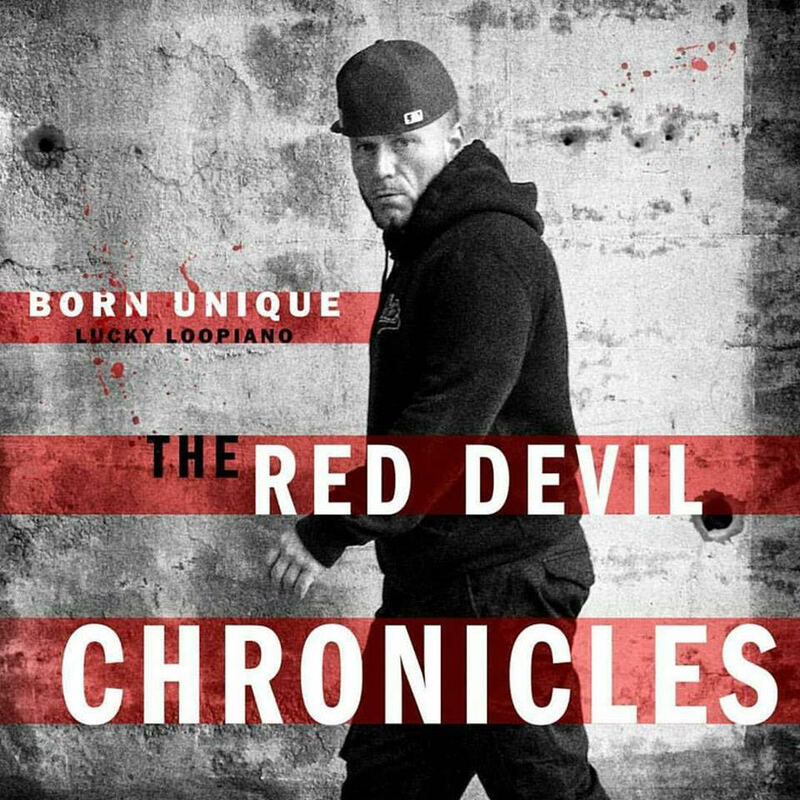 Virginia veteran emcee Born Unique teams up with Brooklyn producer Lucky Loopiano to bring the world “The Red Devil Chronicles”. Together they cultivate a filthy recipe with 18 tracks of gritty lyricism over a dark dusty display of pure grimey Boom Bap. Executive produced by veteran engineers Luminary and Pete Twist, you know this duo was in good hands creating this project. Art and design was handled by veteran New York City graffiti writer Gouch Nkc. The album features some of Hip Hop’s most respected and feared emcees including Goretex, Nems, Shabaam Sahdeeq, UG, Ark Medina, Eff Yoo and Xp. With cuts being chopped up by DJ Tray and DJ Case. The lead off single and video release for the record is “Typhoon Goons” with visuals from Gadget of Digital Hustle Films. With a solid team in place the album will not disappoint.